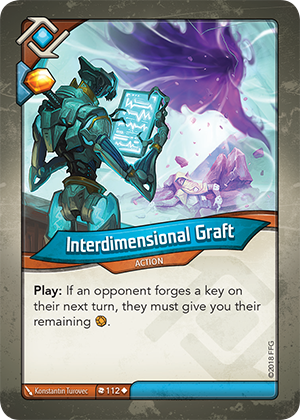 Card Text Play: If an opponent forges a key on their next turn, they must give you their remaining . Can’t my opponent just choose to not forge a key on their next turn, thus avoiding this effect? No. If a player has enough Æmber to forge a key, they must do so. Therefore, if your opponent has enough Æmber, they cannot choose to not forge a key.